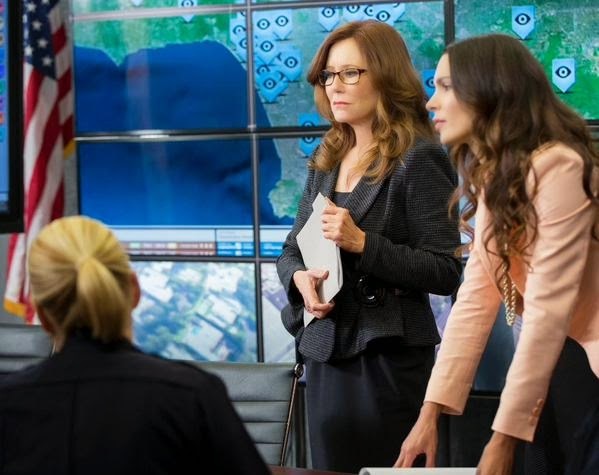 The Major Crimes double episode season finale is tonight on TNT. 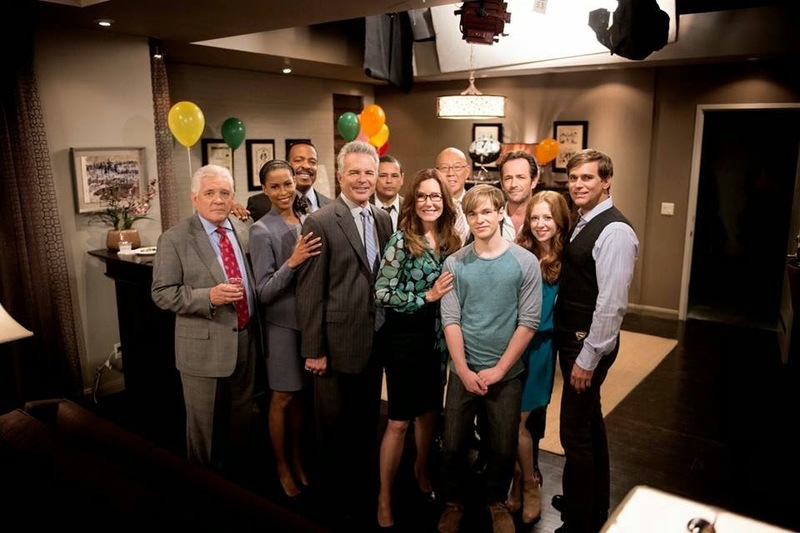 Show co-creator and executive producer, James Duff, answered fan questions on Reddit and then went over to Facebook where he was joined by Tony Denison (Flynn), Phillip Keene (Buzz), Kearran Giovanni (Detective Amy Sykes) and Graham Patrick Martin (Rusty). Most of the cast was also on Twitter. James Duff I'm here with Tony Denison (LT. Flynn), Kearran Giovanni (Det. Amy Sykes) Graham Patrick Martin (Rusty Beck) and Phillip P. Keene (Buzz Watson). And we're celebrating our third season finale with all of you. Thank you for joining us. James Duff Ilona Arcari asks if Graham is happy about how Rusty has grown. Graham says he's really thrilled to portray a kid who was thrown away, and show that, sometime, kids just need love and attention to thrive.Major Crimes has tried to push the issues of homeless children into public awareness. James Duff Tony says Flynn isn't in denial about his feelings about Sharon. He's confused.So he's a little like Tony in real life. He may be in love with Sharon, but, as Tony says, no one has told him. James Duff People asking if we are coming back for a new season, YES!!!!! We are already breaking episodes for season four. And we are excited to bring it to you but I don't have air dates yet. James Duff Kathi C asks if Graham has ever watched G.W. Bailey's episodes in MASH. James Duff Graham asks, "What is MASH?" James Duff Graham is too young to know about MASH, really. James Duff The network, the studio and us have always agreed that it is better to run all our episodes together - in a row- that to constantly take them on and off the air, so that you never know when you are going to get a repeat. Also, it takes a lot of time to write, cast, produce and post these episodes. We could probably do twenty-two. But I think nineteen is good. James Duff Susan P asks why our seasons are so short and why we don't have more Jon Tenney. The answer is we had our season shortened by one week this year, but we did do nineteen episodes, ten in the summer and nine in the winter. James Duff Lorraine B asks if Amy will have a long term relationship with Malcom-Jamal's character, Lt. Cooper? Amy says she certainly wants to. James Duff @Jan C notes that we all seem like a happy family and wonders if it's like that on set. I have four of the actors in my office right now because we get together so often! Yes, we are very much like a family and we look after each other that way, too. Everyone has their strengths; everyone has their flaws; we love each other for both. James Duff Several of you have asked for Buzz to have his own episode and Ilona notes that his relationship with GW. Yes, he will have his own episode next season, and Phillip says that G.W. has a great time with G W because he always learns a lot during those scenes, and feels he comes out of them as a better actor. I know something about G W as a teacher! Tony Denison remembers this crime scene as being incredibly gruesome. James Duff Maayan LS asks if Sharon's children will still stay in touch with their father now that he's drinking again, and if Jack will stay sober. I think Jack is going to try to grab some sobriety. His children already know he's drinking. I think they just want to talk to him occasionally. James Duff Ralph Gifford, who was one of the writer's of this episode, just stepped in. To see what we were watching. James Duff For those of you confused about our seasons, we have two parts to each season. Our first part of season three was in the summer. Our second part is in the winter. This is the second part of our third season. James Duff @Joanne D asks if Sanchez is married. And notes he wears a wedding band. Sanchez was married, but his wife died a long time ago. He never takes off the ring. James Duff @Amy W. asks if G.W. ever makes public appearances. Absolutely. He is always raising money for the Sunshine Kids. And he was Bacchus in Mardi Gras a couple of years ago. James Duff Mic B asks if any of the cast has been in law enforcement. 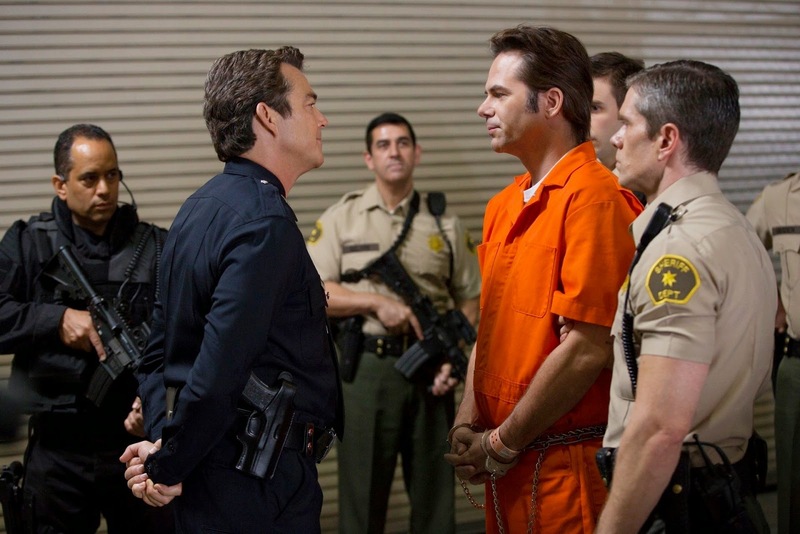 Funnily, only Phillip P. Keene, who plays Buzz, the civilian tech, has had any law enforcement training. He went to the LAPD Academy for four days. Tony and I have both been arrested a few times. James Duff Pangastuti G asks if Rusty is going to college and move into a dorm or stay on living with Sharon. Eventually, of course, he will move off and have a life of his own. But Rusty will have to stay with her for a while! The deal Stroh wants is doable. California puts their prisoners all over the state. James Duff Billy Burke Fanpage thanks us for binging back Phillip Stroh. Honestly, it's our good fortune. Billy is one of the best actors we've ever had on the show. And we love having him. I think we have an amazing ending for him. James Duff By the way, the scene where the prostitutes hang out is on a street lots of the cast take to get to work in the morning.Only they are used to seeing it at five in the morning! James Duff @Jeffry K. points out that he likes how Sharon has become compassionate but is still tough on the criminals. I think her job required her to be distant when she was Internal Affairs (Professional Standards) but that her new occupation allows her to be more open with her co-workers. James Duff @Rachel J. blames the shorter seasons on the writer's strike. That's not at all true. We only ever did fifteen episodes of The Closer until our last season. 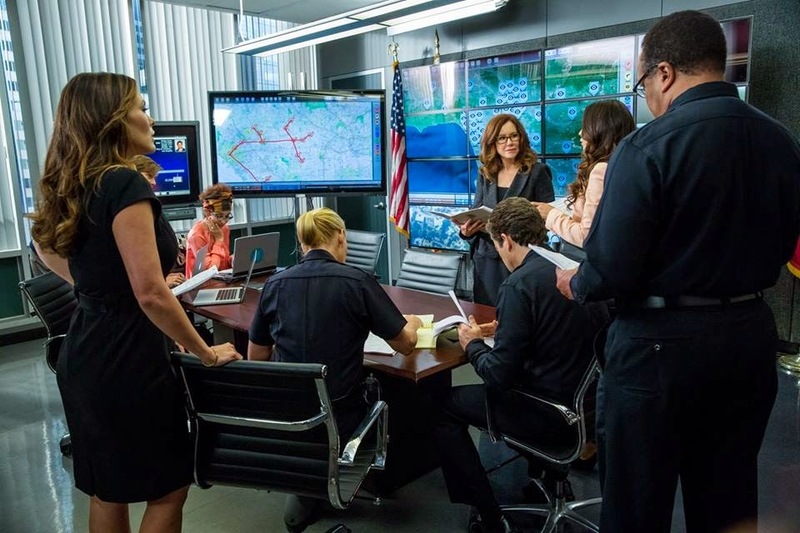 And we do nineteen of Major Crimes. The writer's strike was about not establishing minimums for internet streaming, which is a significant means of distribution these days. The studios were attempting to run our work on the internet without paying us. For services like Netflix and Hulu. Now we have a contract for all of that, and we had to go on strike to get it. The length of our season has absolutely nothing to do with a strike. James Duff @Diane K compliments the cast and wonders what they are doing in the off-season. Tony says he's mostly interested in looking for a house, but might be doing a movie, Kearran just signed with new managers today, so she could be working (and headed to a film festival) Graham went to Louisiana and New York and now he's back in town for a while! And Phillip P. Keen is taking some voice classes and working on his collection of Pan Am memorabilia, which is so extensive, it's been featured at Modernism Week in Palm Springs. Phillip also just got new agents, so he is open to work before we restart. James Duff This season has been about hope, and this episode revolves around the theme of hoping we can gain control of our own destiny. Mary is trying to put Stroh away for good. And Stroh is struggling to somewhat change his fate. James Duff Crystal M-R asks when Dr. Morales is going to get a first name. He already has one! Of course! It's just not been used. Maybe you will find out next year. James Duff I don't know what our air dates will be for next year. But we usually come back fairly early in the summer. James Duff We had to shoot all of Billy's work out of order because he was only available for three days, and they were all before we started filming the finale. So we wrote and shot all of his stuff and then went back and finished our work after he was gone. James Duff the record, there is absolutely no product placement on this episode. or the last episode. We have actually only had three product placements in our whole season. James Duff Giovanni is taking photos of us and Mike Robin, my partner for the last eleven years in doing both shows, has stepped in to watch our next actions sequence. James Duff Annie Potts was amazing to work with! We loved her. She was such a terrific professional. James Duff GW Bailey and Graham love their scenes together. James Duff Louise CG says Stroh reminds her of Hannibal Lecter. We're flattered by the comparison. James Duff So I will tell you a secret about the show tonight. Not a spoiler. Just a hint. At the end, there is an unexpected violent turn, and destiny changes one of our characters forever. James Duff @Duppy Demitrius is with us tonight. Duppy wrote a lot of our best scripts! Including the one in which Sharon adopted Rusty. James Duff @Madison K. asks if the actors take their roles home with them sometimes. They do, a little! Phillip finds himself making faces at people, even though he shouldn't be. Maybe he's always done that. Kearran often finds herself, when she's out, acting more like a cop than she used to. And she sometimes wants to arrest people for their bad behavior. G.W. is often trying to help Graham figure out what he should do. James Duff Buzz probably has to take Tao out for a drink when all of this is over. James Duff Hampton Fluker and Brock Harris are fantastic as the SWAT guys. Wish we could have used them more in this episode. Laurie Holden returns as Cmmdr. Ann McGinnis. James Duff Brock won't be dating Graham! Graham just has another crush on the wrong person. James Duff @Casmere K's grandma asks if Sharon could possibly get back with her ex-husband. I don't know! I can't tell you! James Duff Mary McDonnell does a particularly terrific job in this episode. James Duff All right, everyone. I hate to leave you for the rest of winter and most of the spring, but I know we won't be running any new episodes before June. James Duff Thank you for joining me here each week to watch the show! James Duff It's a lot of fun to interact with as many of you as I can. We hope to do it again through season four. To see notes from the AMA with James Duff from earlier today, click here.